Wherever one happens to glance, it seems, evolution is not quite as we are taught to be fact. I went to Wikipedia for a picture of a cheetah, and found instead the deconstruction of another Kiplinesque story – that of the cheetah-gazelle arms race. This is one of those established icons, like the supposedly (but not actually) adaptive long neck of the giraffe, except that it has been even better grist to Richard Dawkins’s workaday polemic mill. He, by bigging up the “vicious arms race” language, was able to end with his usual flourish that no proper biblical God would do a thing like that. Well that point is rubbish, in that the biblical God claims to actually find prey for lions. More to the point, as has been pointed out by others, evolution adds absolutely nothing to what observing the created order shows: you can go out to Africa and see a fast cheetah hunt a fast gazelle, whether it was created that way or evolved. But since the existence of the arms race seems to be evidence for adaptive evolution, what evidence does Wikipedia (augmented by a couple of other sources) give for that arms race. I mean, it wouldn’t just be a deduction from the assumption of adaptive evolution, would it? That would be circular and quite unscientific. Their main hunting strategy is to trip swift prey such as various antelope species and hares with its dewclaw. Almost every facet of the cheetah’s anatomy has evolved to maximise its success in the chase, the result of an evolutionary arms race with its prey. Cheetahs are carnivores preferring medium-sized prey with a body mass ranging from 23 to 56 kg (51 to 123 lb), comprising Thomson’s gazelle, impala, blesbok, springbok, Grant’s gazelle, reedbuck and duiker… When available they also prey on steenbok, kudu, waterbuck, bushbuck, hartebeest, nyala, sable antelope, bat-eared fox, roan antelope and oribi. Less frequently they prey on ostrich, warthog, wildebeest, gemsbok and zebra.Asiatic cheetahs prey on chinkara, desert hares, Goitered gazelle, ibex and wild sheep. The blackbuck used to be one of the most favorable preys for the Asiatic cheetahs. Modern cheetahs of the species A. jubatus have existed since the early Pleistocene epoch. Cheetah fossils have been found in the lower beds of the Olduvai Gorge site in northern Tanzania, dated to this time period. Older species of cheetah like cats (genus Acinonyx) are even older, with the oldest known from the late Pliocene; these fossils are about 3 million years old. A genome study concluded that Cheetahs originated in North America and spread to Asia and Africa around 100,000 years ago during the late Pleistocene. The result of this first migration also caused the first genetic bottleneck in their population when cheetahs became extinct in North America at the end of the last Ice Age. This genetic bottleneck was followed by a second bottleneck between 10-20,000 years ago, further lowering their genetic diversity. 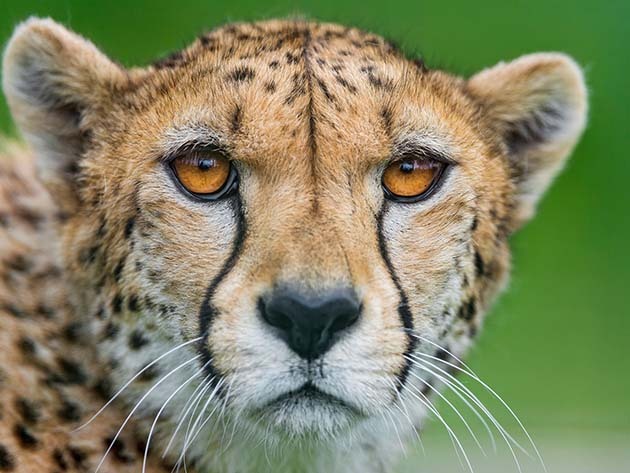 It’s clearly impossible that modern cheetahs came from America in the late pleistocene years ago and existed in Africa in ther early Pleistocene. But from either scenario, we can learn that the present species of cheetah hasn’t done much in the way of an arms race since the ice age, and possibly since it came to the Old World, because they were just as modern back then. The cheetah has unusually low genetic variability. This is accompanied by a very low sperm count, motility, and deformed flagella. Skin grafts between unrelated cheetahs illustrate the former point, in that there is no rejection of the donor skin, equivalent to them being identical twins. It is thought that the species went through a prolonged period of inbreeding following a genetic bottleneck during the last ice age. This suggests that genetic monomorphism did not prevent the cheetah from flourishing across two continents for thousands of years. Their diversity is so low even now, tens of thousands of years after those bottlenecks, that one supposed sub-species has now been jettisoned because it was found to involve single genes. So tell me – where is all the genetic variation that enabled the ongoing evolutionary arms race with Thompson’s gazelle, and maybe all those other prey species? Gazelles are mostly found in the deserts, grasslands, and savannas of Africa; but they are also found in southwest and central Asia and the Indian subcontinent. 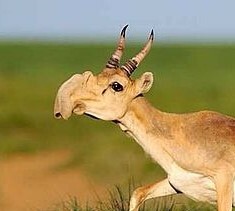 No antelope species is native to Australasia or Antarctica, nor do any extant species occur in the Americas, though the nominate saiga subspecies occurred in North America during the Pleistocene. Well, the saiga is no slouch – it can do 48mph. But its main predator is the wolf, so it doesn’t look as if any arms race would be required to keep it in the larder – nor have wolves shown any signs of becoming sprint champions since the pleistocene. Nobody knows that cheetahs ever hunted them. So nobody knows there was an arms race – certainly there hasn’t been any evidence of one in Africa or Asia since cheetahs arrived there. The cheetah was formerly considered to be particularly primitive among the cats and to have evolved approximately 18 million years ago. However, new research suggests the last common ancestor of all 40 existing species of felines lived more recently than about 11 million years ago. The same research indicates that the cheetah, while highly derived morphologically, is not of particularly ancient lineage, having separated from its closest living relatives (Puma concolor, the cougar, and Puma yaguarondi, the jaguarundi) around five million years ago. These felids have not changed appreciably since they first appeared in the fossil record. “Not changed appreciably”? That’s rubbish, because the textbooks, and even Dawkins, all say they’ve evolved through an arms race. Science knows this as a fact, I tell you. Well, perhaps. Surely this isn’t yet another papered-over case of stasis and saltation? Well, the evidence would suggest that. Or maybe, in this particular evolutionary arms race, the cheetahs just decided to get their retaliation in first.